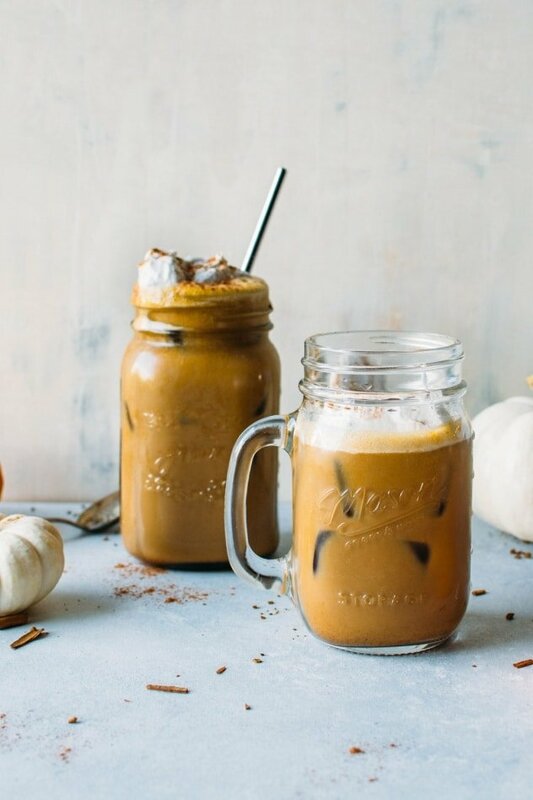 And because I’m all about living in the moment – we’re drinking these paleo iced pumpkin spiced latte’s like there will never be another October again. 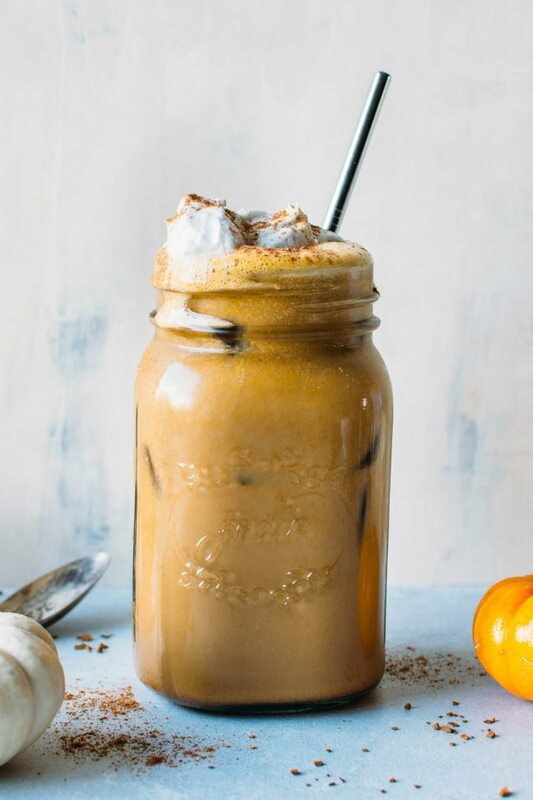 Originally I stocked up on organic canned pumpkin to put together a bulletproof pumpkin spice latte recipe for you guys, but since it was a particularly sunny and lovely day here in Seattle when I got to recipe testing, I thought – why not throw an iced version out there, too? 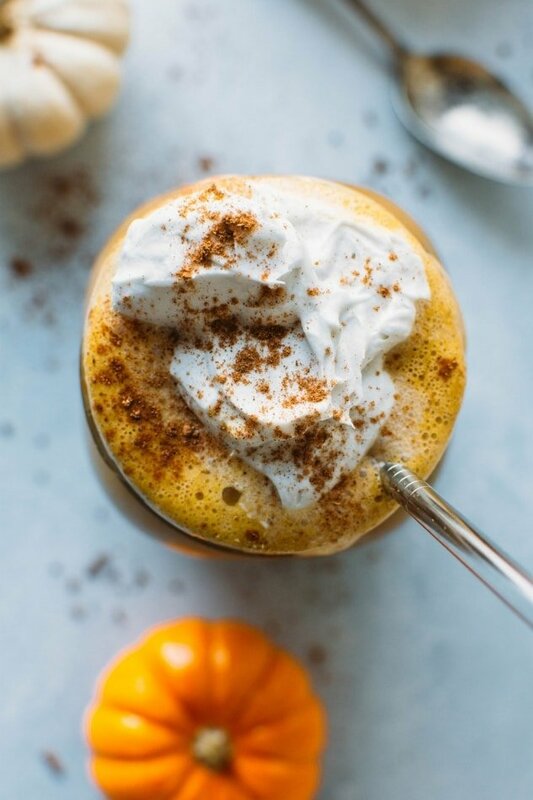 Because I know that a lot of you are pining for some cozy fall weather in the midst of an autumn heat wave (okay okay maybe I exaggerate, but warm enough where sweaters are not really an option) this paleo iced pumpkin spice latte is here to bridge that gap. That’s right, I got your back. 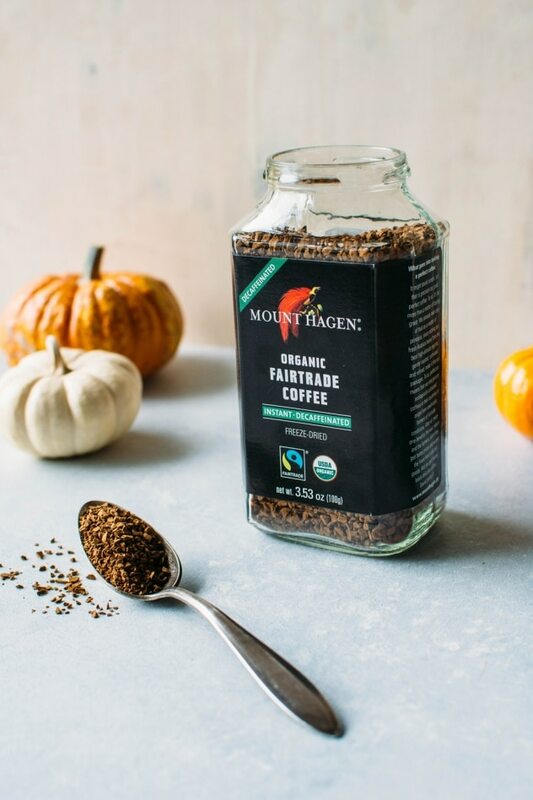 Since I don’t have an espresso maker, I love using a high quality instant coffee for recipes like this. It allows you to get a really concentrated coffee flavor without adding a ton of liquid, same as espresso does. If you do have an espresso maker, by all means pour those shots and use ‘em! If you don’t, the instant coffee is a great answer, here’s an (affiate) link to the one I love. If you don’t have instant coffee on hand, or an espresso machine, you can also brew some super strong coffee, or use cold brew concentrate. 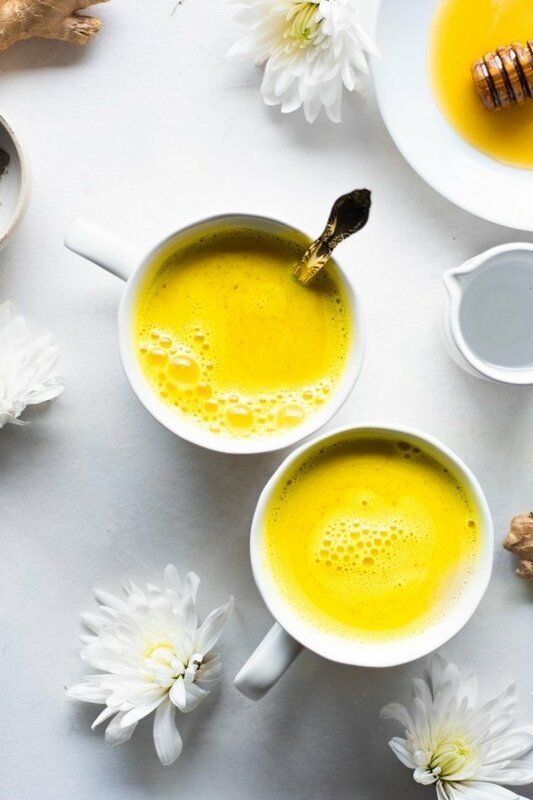 Lots of options for this seasonal cup of delight! 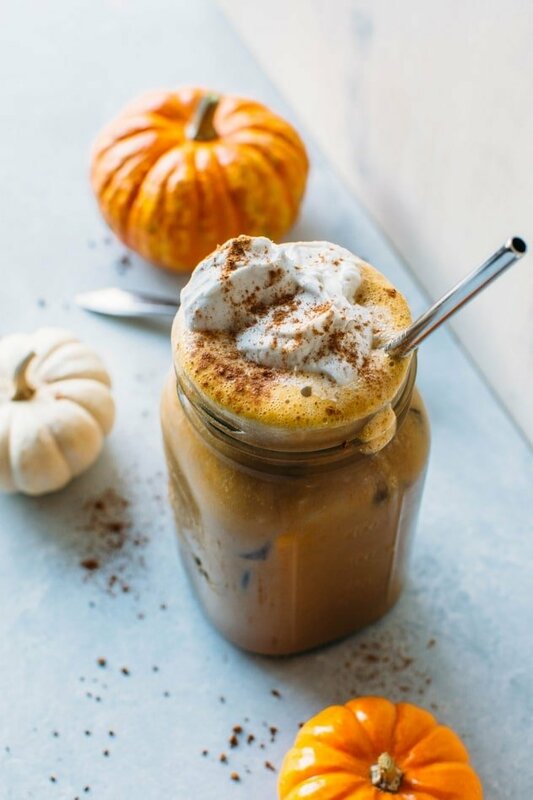 All amazing reasons to indulge in the pumpkin spice latte movement without feeling guilty about empty calories, overloading on sugar, and spending oodles of dollars on your psl habit. And not miss out on a damn thing. I mean, does this really look like any kind of compromise? 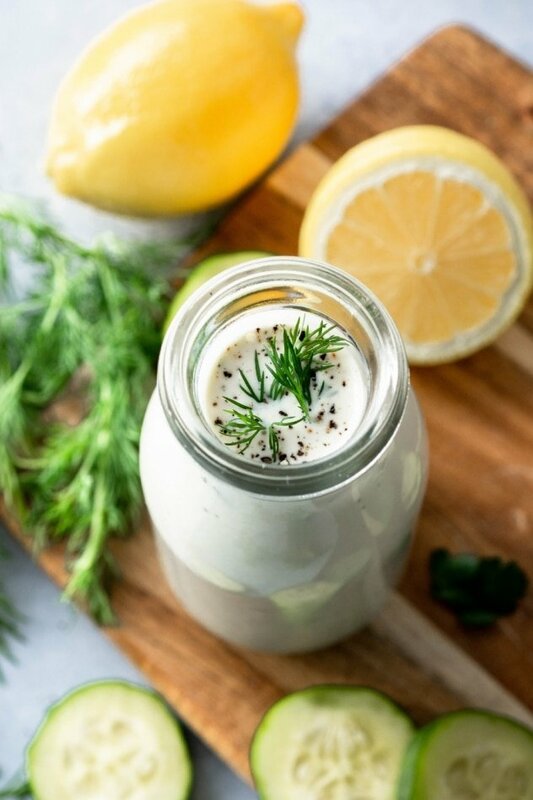 Want more easy and healthy beverage recipes? Check out these favorites! 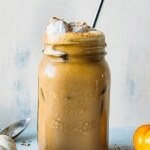 Paleo iced pumpkin spice latte – a dairy free and healthier version of everyone’s favorite seasonal drink! Made with real pumpkin and sweetened with maple syrup. Top with coconut whipped cream for the ultimate treat! 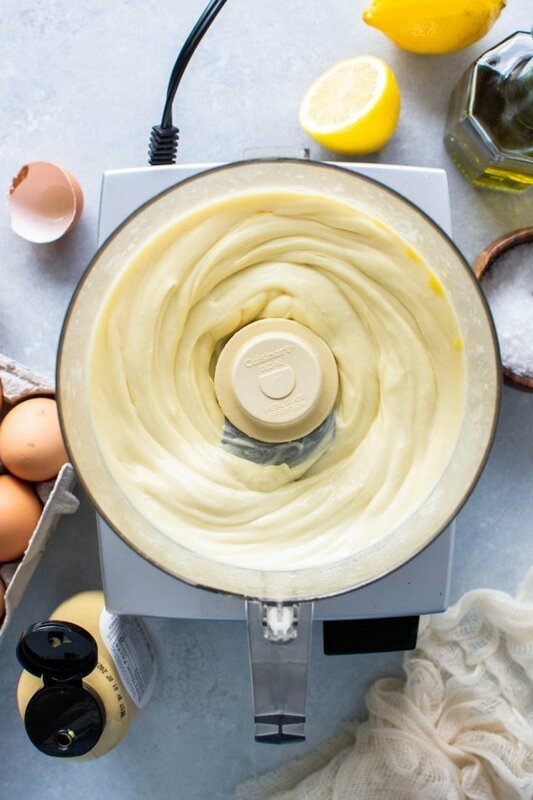 Blend all ingredients except whipped cream on high in a blender until thoroughly combined and frothy on the top. 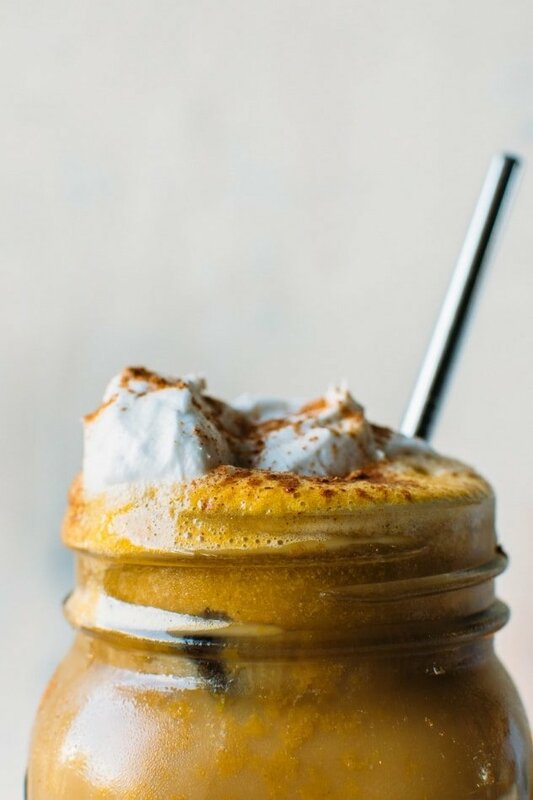 Pour over two glasses filled with ice and top with coconut whipped cream if using! Sprinkle with a little extra pumpkin pie spice and serve. 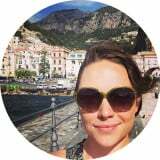 This entry was posted in drinks and tagged autumn, blender, coffee, easy, fall, gluten free, healthy, latte, paleo, pumpkin, pumpkin spice, pumpkin spice latte, quick, refined sugar free on October 9, 2017 by Nyssa Tanner. This sounds amazing! What brand of almond milk do you recommend? Or do you make your own? Sometimes I make my own but I almost always have a bottle of Califia unsweetened almond milk in my fridge “just in case”! Another brand I love but can’t get in seattle (yet!) is Malk. 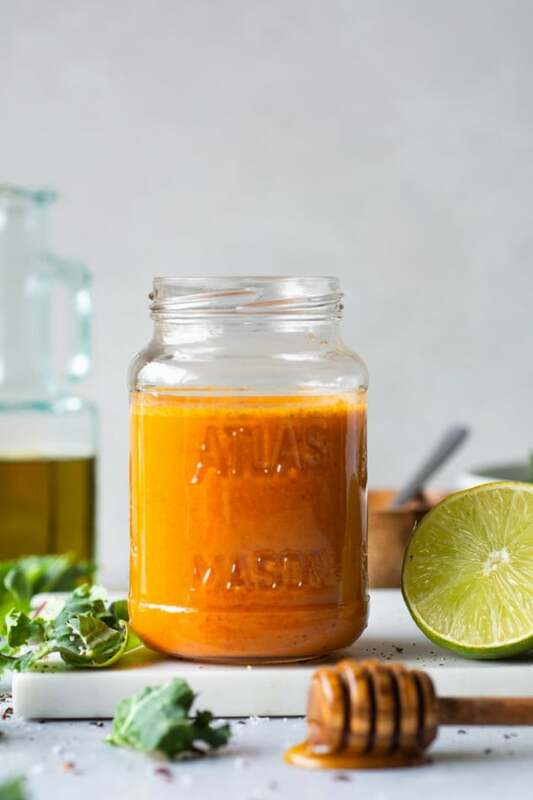 Their nut milk recipe is crazy clean and sooo so good! No binders or fillers.. basically what would be in nut milk if you made it yourself! Good to know! I’ve been eating a mostly paleo diet for about five years and still haven’t been able to give up heavy cream in my coffee. I keep thinking if I just find a brand and keep drinking it, I’ll like it at some point! I’ll have to keep an eye out for Malk. Have you tried the New Barn almond milk? It’s also on my list to try. Cream in coffee is so so good! I treat myself to it every once and awhile, but for the most part use a milk alternative. The brand Nupod is pretty good but it does still have some gums in it which makes me consider trying to make a recipe for my own dairy free creamer sometime soon. I have not tried New Barn but I’ve heard good things!